The fluorescent nanoparticles with aggregation-induced emission have caused tremendous research interest. In this work, the polycarbonates-based fluorescent nanoparticles with aggregation-induced emission (AIE) have been prepared by a facile and efficient approach of ring-opening polymerization and click chemistry. The tetraphenylethylene moieties that feature the AIE characteristics can be facilely grafted onto the polymer main chain by click reaction between azide-terminated tetraphenylethene derivative and alkyne-bearing amphiphilic block copolymer poly(ethylene glycol)-block-poly(5-methyl-5-propargylxycarbonyl-1,3-dioxane-2-one). 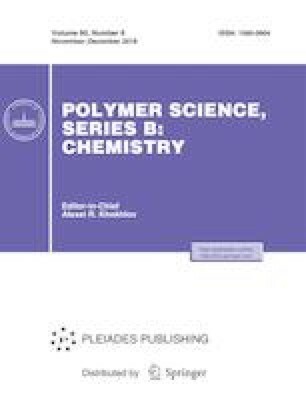 The resulted tetraphenylethylene substituted block copolymers possess amphiphilic properties and are able to self-assemble into fluorescent polymeric nanoparticles. Based on cellular imaging experiments, we demonstrated that these fluorescent nanoparticles have great potential for cells imaging applications due to their attractive properties including strong fluorescence intensity, great water dispersibility, excellent biocompatibility and high cellular uptake efficiency. This work was supported by Jiangsu Key Laboratory of Fine Petrochemical Engineering, Changzhou University (KF1704).